Events are an integral part of Connect. Events are used to trigger campaigns and filters. 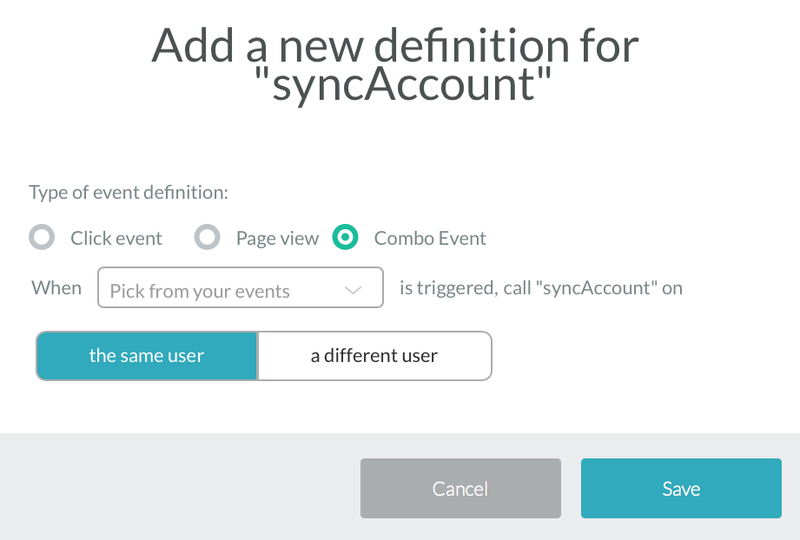 Events are created by sending a .track() call or by creating new events in the event definitions modal. Event properties can be sent along with a .track call. Once an event has event properties, these can be used to help you filter for more specific users while creating a campaign. To create a new event using track calls, see Track an event. Connect lets you fire an event when another event fires without making a code change in your app. Let's say your app has different kinds of user accounts. When a user does syncExpenseAccount, you'd also like to fire syncAccount. You can achieve this using combo event definitions. Now in the event definition, define the other event which should trigger the target. In our example, this is syncExpenseAccount. Currently there is no interface for uploading historical event data. 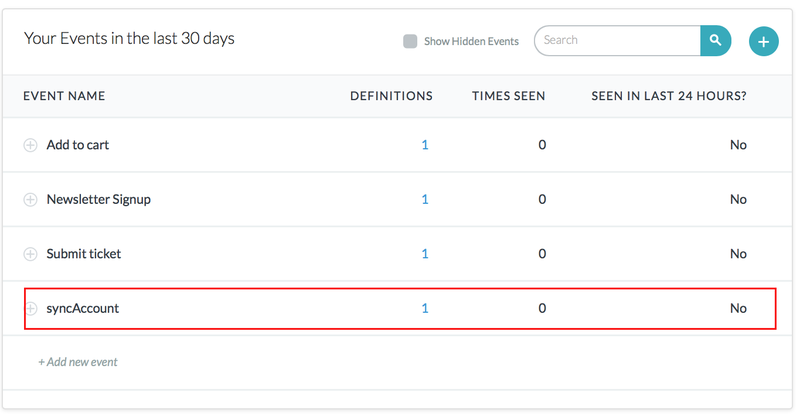 However, if you send a CSV containing a list of user_ids with the events/event properties to connect@zendesk.com, we can complete the upload for you. Thanks for letting us know! I've asked the documentation to take a look and update this.